What causes Autism? Is it the food we eat, toxins in the environment, vaccines, or a genetic predisposition. No one knows the true cause of Autism but there are many studies which have proven that environmental toxins in our food, air, households can contribute to the likely hood of Autism in a child who has a genetic predisposition. There is no denying that over the last 60 years our lives have all become bombarded by chemicals left and right from the cleaners most of us use in our homes, the food we eat, the pollutants that contaminate the air we breath, the less then natural perfumes and other nasty chemicals that are found in the shampoos and lotions we slather on our children from the day they are born. I don’t believe that there is just one cause for Autism. I think that there are so many different contributing factors that cause Autism to develop that we can not prove 100% that any one thing causes it to develop. I believe that genes play a large role in the development of autism but unlike a lot of other hereditary disorders that have a single implicated gene it is believed that more than 1000 genes coupled with the environmental factors I have listed above may contribute to the development of autism. (learn more about this here). So what does this mean? It means that it is possible that although a child is born with some autism characteristics based on their genes that autism may not fully develop without some other environmental factors triggering these genes. In our family the Monkey had some quarks from the very beginning but I believe that all the infections he had and the antibiotics plus the vaccines he was given when his system was already compromised from the infections may have been what triggered Autism to fully develop. When you think of how broad the spectrum of autism is, is it truly difficult to believe that genes are not the only thing causing the symptoms we see in our children? Purpose of review: This review presents a rationale and evidence for contributions of environmental influences and environmentally vulnerable physiology to autism spectrum disorders (ASDs). Recent findings: Recent studies suggest a substantial increase in ASD prevalence above earlier Centers for Disease Control figures of one in 150, only partly explicable by data artifacts, underscoring the possibility of environmental contributors to increased prevalence. Some gene variants in ASD confer altered vulnerability to environmental stressors and exposures. De-novo mutations and advanced parental age as a risk factor for ASD also suggest a role for environment. Systemic and central nervous system pathophysiology, including oxidative stress, neuroinflammation, and mitochondrial dysfunction can be consistent with a role for environmental influence (e.g. from air pollution, organophosphates, heavy metals) in ASD, and some of the underlying biochemical disturbances (such as abnormalities in glutathione, a critical antioxidant and detoxifier) can be reversed by targeted nutritional interventions. Dietary factors and food contaminants may contribute risk. Improvement and loss of diagnosis in some with ASD suggest brain circuitry amenable to environmental modulation. 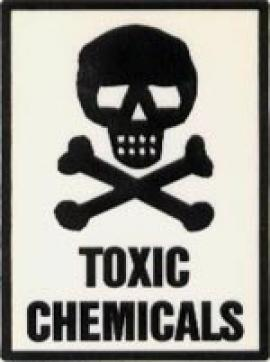 Due to everything I have read regarding chemicals in cleaning products in regards to our health and to the environments I try to limit our expose when it comes to our house. I choose primarily homemade cleaners made with vinegar and baking soda for cleaning and for our skin I make a homemade body butter with literally 2 ingredients that is a fantastic moisturizer. Some may think I am slightly over the top and worried a bit to much but when it comes to the monkey I will stride on the side of caution any day. Just like I would never allow him to go on a boat without a life jacket I choose to also not bombard his system with unnecessary toxins because you just never know what they may or may not do to you. Check back later this week for a few recipes for natural body products, an alternative to laundry detergent, and for some household cleaning tips which use ZERO chemicals.